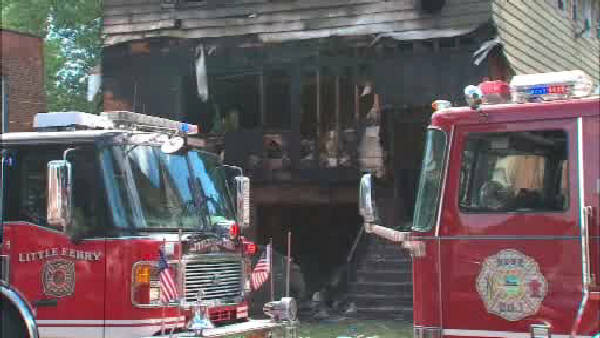 LITTLE FERRY, N.J. -- Authorities have identified a woman and her granddaughter who died in a New Jersey house fire. Police say 5-year-old Maribella Colon died at a hospital Wednesday. Fifty-six-year-old Margaret Colon was pulled out of a window by firefighters as the fire raged in a home in Little Ferry Tuesday night. She died Wednesday at a hospital. Officials at Fairleigh Dickinson University tell the newspaper Margaret Colon worked as an assistant in the facilities department for 24 years. A police officer on patrol heard a pop and found the home on fire around 11:30 p.m. Tuesday. Some residents either jumped or dropped from the three-story, multi-family home. Other residents sustained broken bones or smoke inhalation. Three police officers were treated for minor injuries.